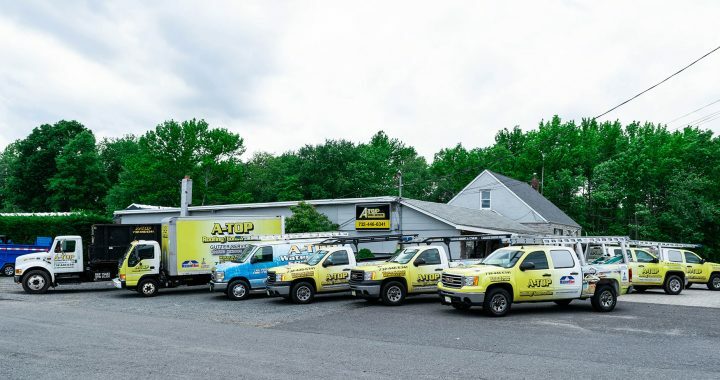 A-Top Roofing and Construction is your complete source for selection, pricing, and brand names for replacement doors and windows in Central New Jersey. Offering the best selection in doors and windows, A-Top Roofing and Construction has an extensive selection of bay windows, box windows, single and double hung windows, custom windows and transoms to choose from. Always hire a reputable contractor who is fully licensed and insured. Remember when getting a price quote, cheaper is not always better. Hire a contractor who has the knowledge to explain the benefits of many products. Be careful of hidden costs! Does your quote include variables about hidden damage or removal and disposal of existing doors and windows? Timeliness – Hire a contractor who can put you on a schedule where you can be assured the job can be done in a timely fashion, usually in one day! Ratings – Be sure to hire a contractor who has a great reputation and reviews on multiple sites like Angies List, and is rated with BBB! Compliment the look of your home with energy efficient doors and windows professionally installed by A-Top Roofing and Construction. We offer a variety of door and window replacement options to fit the look and style of your home and your budget. Replacing your doors and windows has never been so easy. Our certified installers will professionally install your new doors and windows and will remove and dispose of your old ones. 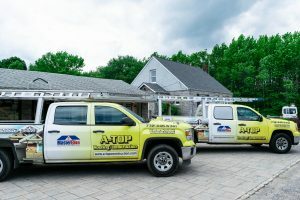 A-Top Roofing and Construction will look at the existing trim on the inside and outside of the windows to see if it needs to be repaired or replaced. All replacement products come with a warranty, including the warranty on labor. 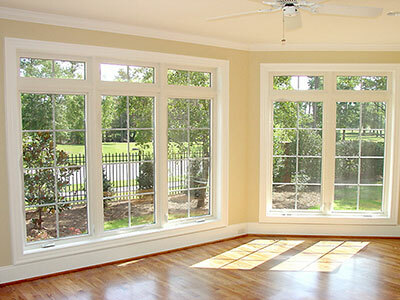 To learn more about replacing your doors and windows, and to get a free price quote click here! 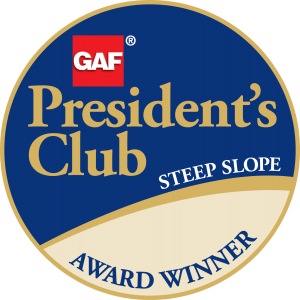 A-Top Roofing and Construction of Manalapan, New Jersey, has received the most prestigious contractor award GAF offers: The GAF President’s Club Award. This highly coveted award recognizes A-Top Roofing and Construction as one of the “elite of the elite” residential roofing contractors in the United States. • Performance Pathway – where contractors focus on giving their property owners the best possible service, quality, and protection. • Reliability Pathway – where the contractor has a long history of offering their customers the best quality and protection. A-Top Roofing and Construction has been a GAF Master Elite(R) Contractor since 2004. To become a Master Elite(R) Contractor, a status that less than 2% of roofing contractors nationwide are able to achieve, a candidate must demonstrate proper licensing (in states that require it), maintain insurance, have a proven reputation, and show commitment to ongoing professional training. A-Top Roofing and Construction’s level of commitment extends to the community. The company is involved with Habitat for Humanity and contributes to local Little Leagues and fundraising for local high school sports teams. “We’re always big sponsors in trying to help out,” says Ferrara. Going forward, A-Top Roofing and Construction will continue focusing on satisfying customers and moving ahead with green initiatives. 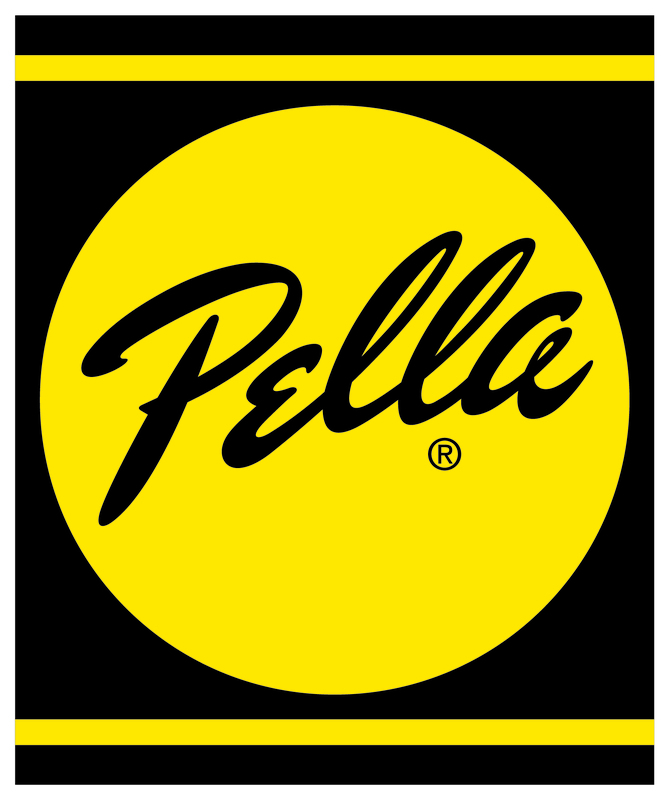 The company is trying to become more paperless and to offer building and insulation products that meet green standards. Formed in 1986, A-Top Roofing and Construction has more than 30 years’ experience in the construction and roofing industries. The company has earned its outstanding reputation through the tens of thousands of jobs in and around the Monmouth County area. A-Top Roofing and Construction covers many types of renovations, including residential and commercial projects. A-Top Roofing and Construction is located in Manalapan, New Jersey and services Monmouth, Northern Ocean and parts of Middlesex County. – To visit our website Click here! A-Top Roofing and Construction has been Monmouth County’s number one choice in roofing since 1986. Andrew Ferrara started working for a local roofer in 1983. He spent his days learning the craft of residential and commercial roofing while going to college at night. With an entrepreneurial spirit, Andy went out on his own cleaning gutters and found immediate success. In the spring of 1986, he purchased his first work vehicle and started Tar Beach Roofing which quickly turned into A-Top Roofing. The growth of the company has been a direct result of personalized customer service and complete focus on customer satisfaction. We are a family owned and operated company that takes pride in our roofing and construction work. At A-Top Roofing and Construction, we measure our performance on your level of satisfaction. Our products are meant to enhance the value of your home and the enjoyment you have from living in your home. Over the last 30+ years, our services have expanded beyond roofing repairs and roof replacement. Our trained and certified crews are busy beautifying homes throughout Central New Jersey. 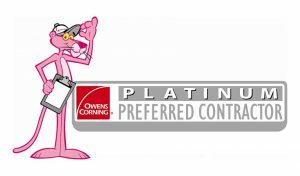 A-Top Roofing and Construction has been recognized in the roofing industry for top performance in many catagories by Owens Corning and GAF over the years. GAF, North America’s largest quality roofing manufacturer, has given A-Top Roofing and Construction their GAF “Master Elite Consumer Protection Excellence” award EVERY year since 2004. In addition, we have also received the GAF Master Elite Installation Excellence Award, the GAF Master Elite Consumer Protection Excellence Award, and the GAF Master Elite Consumer Training Excellence Award. – For more information or to visit our website Click here!